In a weather-shortened City Council meeting on Monday night, the council revealed the eight finalists for the open council position recently vacated by newly-appointed state legislator Vandana Slatter. Slatter was appointed to the 48th Legislative District representative role after Rep. Patty Kuderer was appointed to fill the 48th’s Senate seat, vacated by Cyrus Habib after his election to the lieutenant governor position. After Slatter vacated the position, 43 Bellevue residents applied for the Position 5 seat on the council. The eight finalists chosen were Grant Degginger, John deVadoss, Aaron Laing, Scott Lampe, Jared Nieuwenhuis, Ernie Simas, Stephanie Walter and Janice Zahn. The City Council will interview those candidates at the Monday, Feb. 13 council meeting at City Hall. The council is expected to make its decision by the end of February. The Position 5 spot would then go up for election in November. The winner of the District 5 position in the general election would be sworn in through the duration of Slatter’s original term, Dec. 31, 2019. Also on the ballot are council positions 2, 4 and 6, currently held by Councilmembers Conrad Lee, Kevin Wallace and Lynne Robinson, respectively. 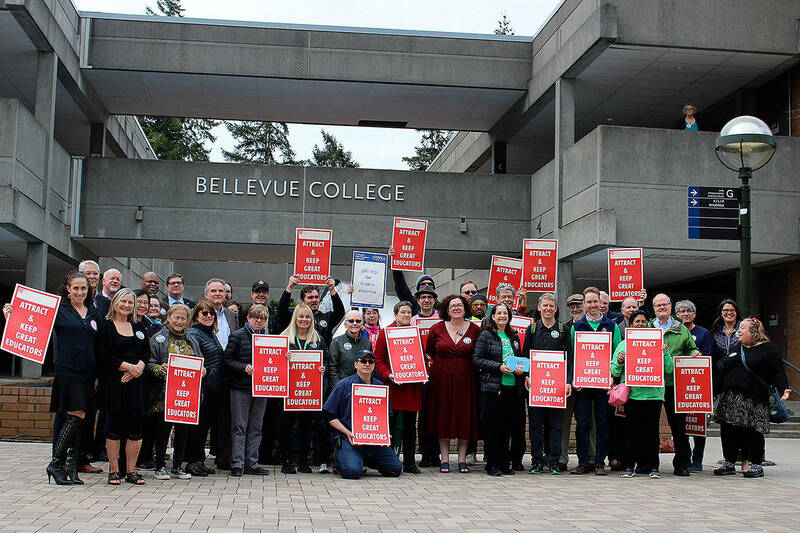 To serve on the Bellevue City Council, an applicant must be a Bellevue resident for at least a year prior to the election and be a registered voter. Bellevue operates under a council-manager form of government with the council selecting a city manager who oversees all city operations. The council is made up of seven council members who are elected-at-large and serve staggered four-year terms. The council members, in turn, select a mayor and deputy mayor from among themselves.